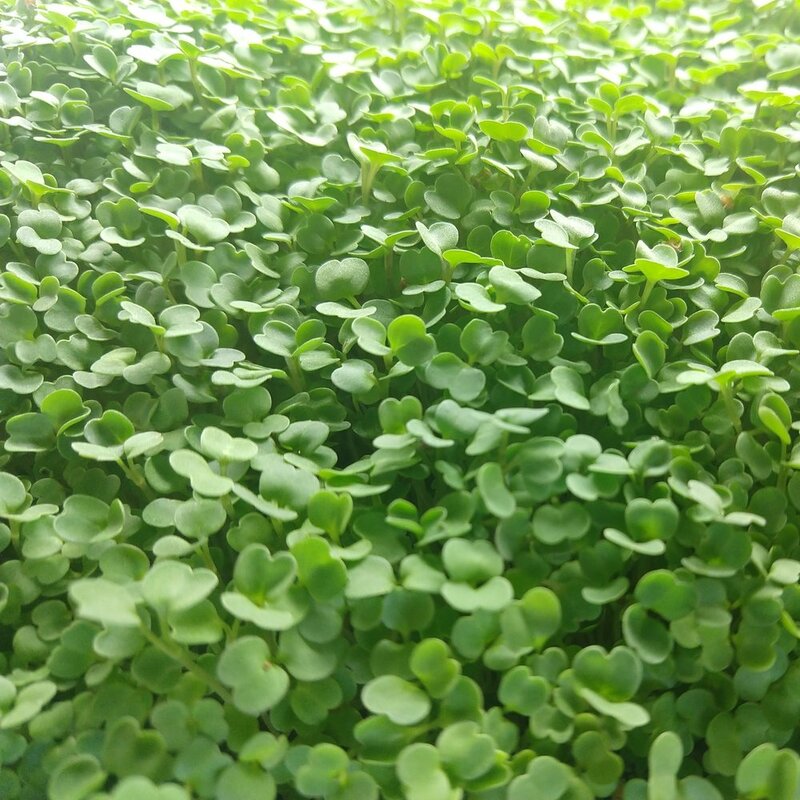 microgreens are plant babies, harvested within a week or so of sprouting before true leaves form. we grow our greens in inert hydroponic media and give them nothing but water, light, and fresh seattle sea air - everything else the plant needs comes from the seed. the result is a nutrient-packed, intensely flavorful salad green, harvested same-day fresh no matter the season. 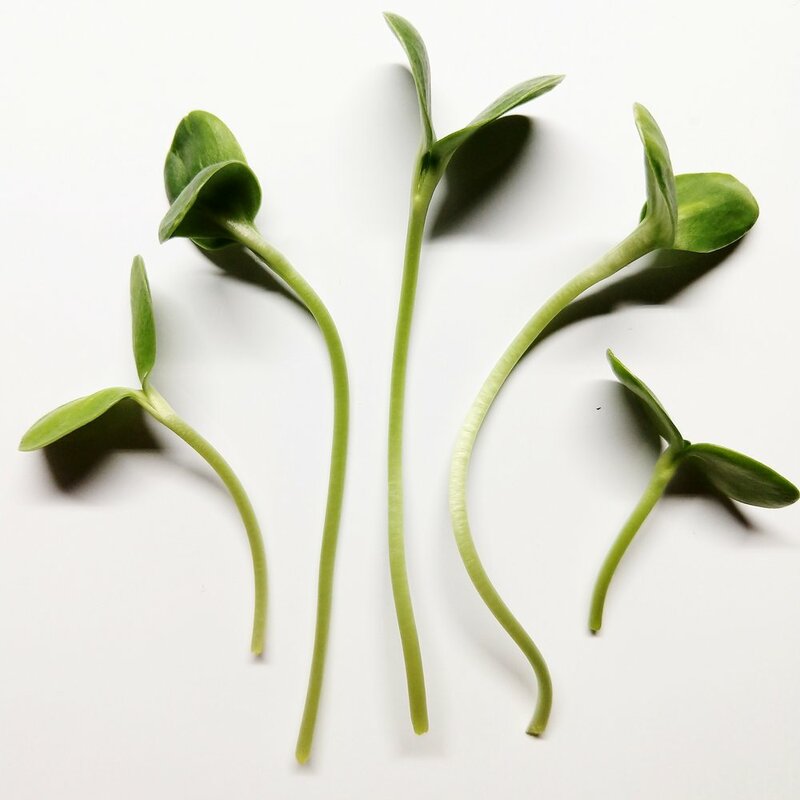 our flagship product, sunflower microgreens are crunchy, nutty, and snackable. these hearty sprouts are up to 30% protein by weight, meaning one of our 100g containers packs as much complete protein and essential amino acids as a quarter-pound steak. we think that’s kind of a big deal. add to a salad, sandwich, or omelette for a burst of texture, or munch on them alone like a bowl of popcorn - we recommend them this way for a simple healthy munchie. the earthy flavor of broccoli as a delicate baby green. they taste just like a grown up broccoli floret, but with a soft mouthfeel and just the slightest crunch. packed with nearly 40x the vitamin C of the mature plant, and proudly representing the #1 natural source of sulforaphane, if anything is worthy of being called a superfood, it’s broccoli sprouts. check out this in-depth, science-heavy presentation by dr rhonda patrick on the myriad health benefits of sulforaphane and broccoli sprouts! baby daikon radish delivers a spicy kick straight to your sinuses. all of the heat from the root of a mature radish is stuffed into this fiery sprout. ideal for a spicy veggie sushi or a pinch as a salad topper. our customers keep telling us these are addictive… maybe we’re okay with that. an intense blast of peppery goodness. 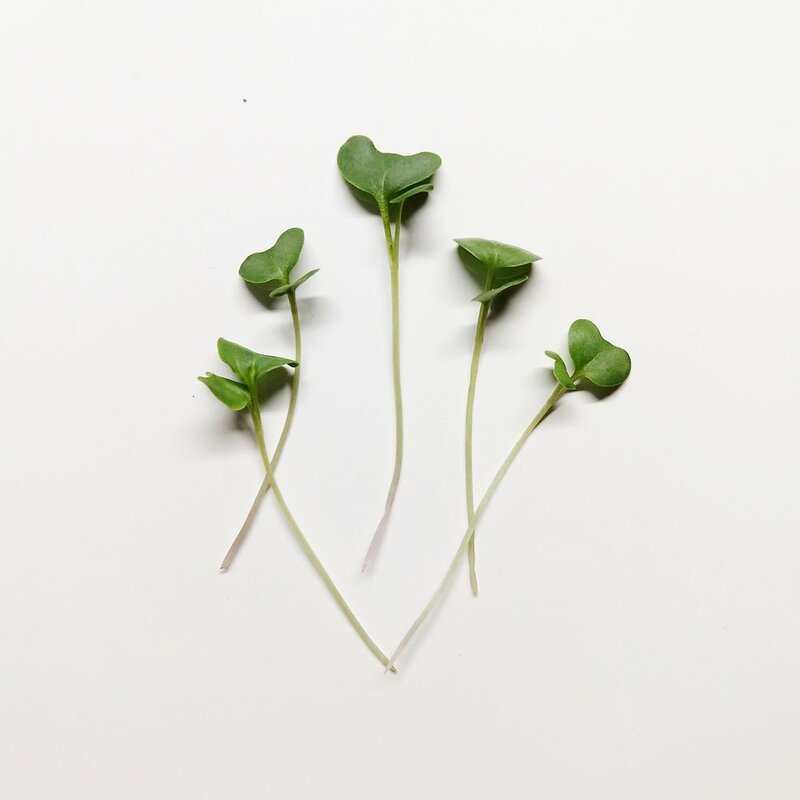 arugula microgreens are soft and tender but with an even more concentrated flavor than their fully grown counterparts. perfect to add a little zing to a sandwich or as the main ingredient in a fresh pesto. no, it’s not that kind of sativa. sweet spring flavor in delicate leaves and curly-cue tendrils. 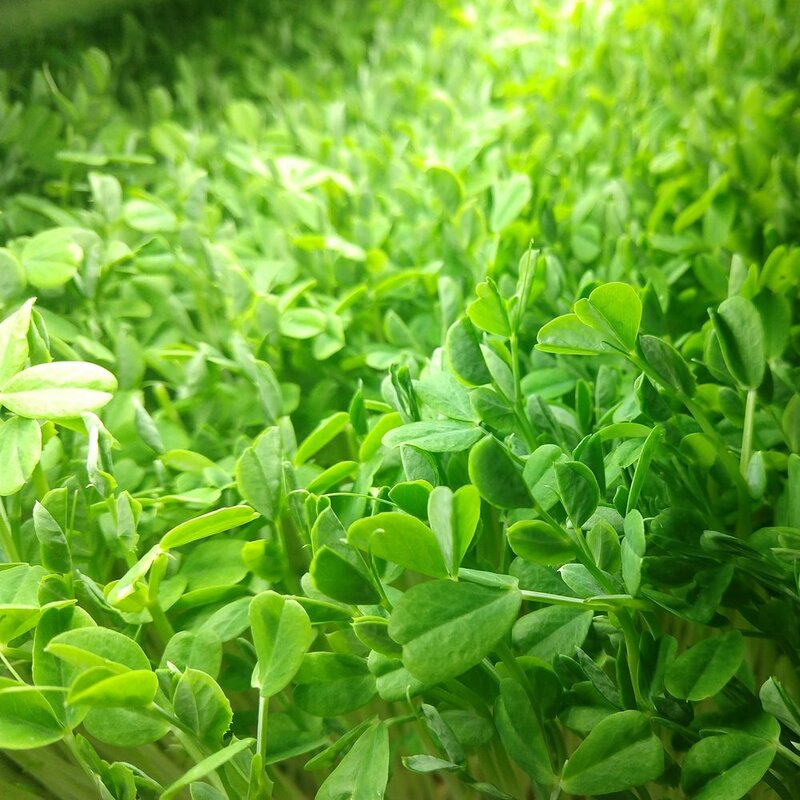 pea shoots are the heartiest of crops we grow, holding up the best to heat and stewing compared to other microgreens. try adding them to your baked potato on a misty seattle evening.